What if the germiest item in your bathroom was your toothbrush? It could be, especially as flu season rages on. That’s why you should take care to periodically replace your toothbrush and those of your family members. The American Dental Association recommends replacing toothbrushes every three months, or more often if the bristles are bent. If they’re not straight, they’re probably not making good contact with the surface of your teeth. If you share bathroom space with one or more other people, you need to be even more careful. That’s especially true if you store a cluster of toothbrushes together. Or if you’ve been sick, in which case you must replace your toothbrush immediately. If one of you is sick and the bristles touch, you’re likely to swap germs the next time you brush your teeth. Little kids are even more negligent when it comes to trading bacteria strains this way. After all, they have no problem sneezing into each others’ faces, so they’re unlikely to be too squeamish about letting toothbrush bristles touch. There is some good news in the toothbrush hygiene front. If you store yours with bristles up and exposed to the air, as many of us do, you don’t have to worry much about bacteria. Your bristles might catch the germs in the bathroom environment, but the cooties will likely die in the open air. In fact, you’re better off storing your toothbrushes out in the open like this than by keeping toothbrushes capped in plastic tubes. When you do that, you’re creating an incubator for germs. However it is that you store the family toothbrushes, the important thing is to replace them regularly–at least every three months, and more often than that if you’ve been ill or the bristles are damaged. They’re not doing your smile much good if they are. 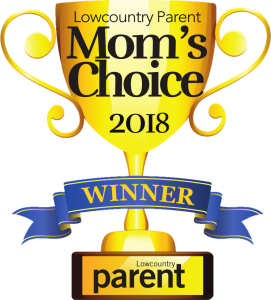 Looking for a great dentist in the Charleston area? Trident General Dentistry is now accepting new patients. So call today to schedule and recieve your complimentary toothbrush at your hygiene appointment. 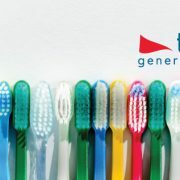 https://www.tridentgeneraldentistry.com/wp-content/uploads/2019/03/replace-your-toothbrush-charleston-dentist.jpg 317 843 Rachel Gerstner https://www.tridentgeneraldentistry.com/wp-content/uploads/2016/09/WebLogo-v7.png Rachel Gerstner2019-03-25 10:59:172019-03-25 10:59:17How Often Should I Replace My Toothbrush? ClearCorrect is the completely discreet way to get the straighter, easier-to-clean, aesthetically-pleasing teeth you’ve always wanted. Unlike metal braces or a traditional retainer, it’s clear, blending into your teeth. Unless you tell people, most won’t notice you wear it. Let’s find out if you’re a good candidate and what to expect during your treatment. Bruxism (teeth grinding) and sleep apnea that requires a nighttime device called a CPAP may reduce your chances of being a good candidate because they can make it harder to wear the ClearCorrect properly. 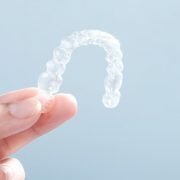 Once you’ve been fitted for a ClearCorrect aligner, you’ll wear it at least 22 hours a day, taking it out only when you eat or need to wear a mouth guard, such as may be the case if you play a contact sport. During check-ups, your doctor assesses your progress. When you’re ready, you’ll graduate to the next level of aligner. Each level normally lasts 2-3 weeks and gets you closer to that perfect smile you’ve always wanted. Your treatment may take only a few months of a few years depending on the complexity of movement needed in your mouth. Do you want straighter, easier-to-care-for teeth? Contact our office for a consult to find out in ClearCorrect is a good fit for you. Trident General Dentistry has 5 convenient locations in Charleston, SC. https://www.tridentgeneraldentistry.com/wp-content/uploads/2019/02/ClearCorrect-Provider-Charleston.jpg 667 1000 Rachel Gerstner https://www.tridentgeneraldentistry.com/wp-content/uploads/2016/09/WebLogo-v7.png Rachel Gerstner2019-02-27 13:10:582019-02-21 13:25:03ClearCorrect, Is It The Right Choice For You? Having your children brush and floss their teeth at least twice a day is a great way to lower the risk of tooth decay. Regular dental cleanings are another effective way to reduce this risk as well. However, there’s one more step you should take to prevent cavities in your children’s teeth. Dental sealants provide even more protection from tooth decay. These are thin coatings that go over your children’s molars in order to keep bacteria off of them. Molars have many grooves that bacteria can gather in, which increases the risk of having plaque build up and lead to decay. Keeping molars free of bacteria with brushing can be difficult for children to do, since the grooves in these teeth are harder to reach. Placing sealants on them means that food particles and bacteria can’t accumulate in the grooves. Your children might be nervous about having dental sealants put on, but the process is fast and does not cause any discomfort. Your children’s dentist will apply a gel on the teeth, then rinse it off before putting the sealant on. The sealant bonds to the surface of your children’s molars and provides them protection from bacteria and tooth decay. Dental sealants are safe to use except in rare instances when children have an allergy to the materials that are used. These sealants typically remain bonded to teeth for several years. Your children’s dentist can check them during regular cleanings and reapply them if needed. This helps ensure that your children continue to have a lower risk of tooth decay. Are you looking for a great dental practice for your family? Call Trident General Dentistry today to schedule your dental appointment. https://www.tridentgeneraldentistry.com/wp-content/uploads/2019/02/Dental-Sealants-Charleston-Dentist.jpg 667 1000 Rachel Gerstner https://www.tridentgeneraldentistry.com/wp-content/uploads/2016/09/WebLogo-v7.png Rachel Gerstner2019-02-21 13:09:462019-02-21 13:09:46Dental Sealants, Does My Child Need Them? February is American Heart Month, which is a good time to think about oral health. 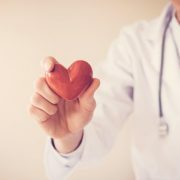 While they might not seem related, there is a connection between having a healthy heart and having a healthy mouth. Find out more about how your dental health can have an impact on your heart health. Having gums that are in poor condition can raise your chance of developing heart problems. 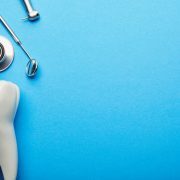 Gum disease, such as gingivitis or periodontal disease, is associated with an increased risk of having heart disease, stroke and heart inflammation known as endocarditis. When you have gum disease, especially when it’s left untreated, the bacteria from your mouth can enter your bloodstream and reach other parts of your body, such as your heart. Managing gum problems is an important part of lowering these risks. How do you know if you have gum problems that could affect your heart? You might have red or swollen gums, such as when you have gingivitis. In more advanced cases of gum disease, you might have gums that easily bleed when you brush your teeth. You might also have receding gums, chronic bad breath caused by oral bacteria and teeth that start becoming loose. Seeing your dentist for cleanings and exams regularly helps prevent gum problems from occurring. Brushing and flossing, as well as having dental problems treated early, are also essential parts of helping your heart and mouth stay in good health. Looking for a great dental practice for you and your family? Schedule your visit today with Trident General Dentistry. Sometimes a medical condition is the cause of bad breath. More often than not, bad breath is caused by dental or gum problems that have been left untreated. According to the American Dental Association (ADA), diabetes, acid reflux, or sinus conditions can contribute to bad breath. But here are 4 conditions in the mouth that are the leading causes of bad breath. 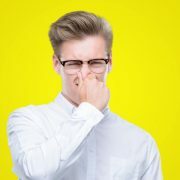 When bad breath is the result of a dental condition, it usually starts with bad bacteria that is not removed by stellar dental hygiene – avoiding sticky foods, flossing, brushing after meals, and an antiseptic rinse. Hundreds of different species of bacteria are found in the mouth, but poor dental hygiene will cause a proliferation of the bad bacteria that leads to bad breath or halitosis. Dental plaque is the accumulation of bacteria from sugary and sticky foods that leaves a smelly, soft film on teeth. When plaque is not removed by daily brushing, it will harden into tartar. Tartar, plaque, bacteria, and food particles will continue to build, pushing back gums and cause bad breath and gingivitis. Apart from causing bad breath due to the bacteria that is building on the gums, gingivitis, an precursor to advanced gum disease, can cause gum irritation, inflammation, and redness around the base of the gums. Rinsing with an antiseptic mouth wash will diminish symptoms of bad breath, but unless you reverse the bacterial growth with aggressive dental care, advanced gum disease will result. Constant bad breath is an indication of gum disease and requires the attention of a dental profession to correct. Receding gums and open pockets between the gum line and the teeth will start the process of losing teeth, misaligned teeth, and extreme bad breath. If you have noticed recurring bad breath, even after brushing and rinsing, you could be in the early or advanced stages of gum disease. To detect early gum disease visit your dentist at least twice per year. 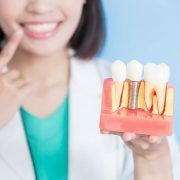 To prevent the loss of teeth or complicated dental surgeries such root canals, due to bacterial infections have dental plaque removed and any stage of gum disease treated. 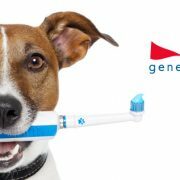 Don’t have a dentist or looking for a great dental office in the Charleston area, call Trident General Dentistry today! Maybe you were eating a piece of candy and heard a crunch, started feeling sharp jaw pain, or got hit in the face with a baseball. These scenarios could be a dental emergency. While it’s best to regularly visit a dentist for routine care, there may be times when you need help asap. Prolonging a dental visit might make the issue worse, or irreparable. Why would I need emergency dental care? Accidents are one of the main reasons. A chipped tooth from food that is causing pain, a knocked out tooth from sports, or an injury to your gums that’s too painful to wait for a regular appointment are all reasons. Infections and other illnesses are other reasons to seek emergency dental care. An abscessed tooth, or a severe toothache, may prompt you to get care. Signs you should seek care are bleeding from the mouth, severe pain, a knocked out tooth, and severe gum swelling. Where would I find emergency dental care? Call your regular dentist first to see if you can get fit in immediately. Trident General Dentistry has five convenient locations throughout the Charleston area. Search our locations on our website and find the location that best suits you. Our skilled dental team are prepared for most dental emergencies, and for a limited time we are offering a free exam and x-ray to new patients. Call today and ask out our new patient special to see if you qualify. Dental bonding is when a resin material is “bonded” with your teeth to repair problems or imperfections. It’s a very simple procedure that can usually be done to help people with a series of dental imperfections. It restores your smile in a procedure that takes just a single visit. A cracked tooth is a common dental issue. Tooth injuries are seen daily in a dental office and a broken tooth often sends you to see your dentist promptly. The procedure of dental bonding can be used to restore the tooth leaving a result that looks like your natural tooth. Staining on the teeth can be caused by many factors. Certain types of stains can be easily removed during your routine dental cleaning and other times the stain is permanent. This issue often causes a lot of self-esteem issues for some people. Dental bonding can be used to cover up the stains. This simple procedure is able to restore the confidence of many people with tooth discoloration. Some people have small gaps between their teeth. This can sometimes be a source of discomfort for some people who may want to close those spaces. The procedure can be a treatment option to address the spacing and create a more desirable smile. 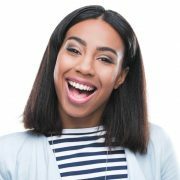 Often dental issues regarding the shape and structure of the tooth can easily be fixed by undergoing this simple procedure. It is a short solution that takes a single appointment to finish just by visiting your cosmetic dentist. To learn more about dental bonding with Trident General Dentistry click here. To schedule your dental visit at one of our 5 locations in the Charleston area you can find our contact information here. https://www.tridentgeneraldentistry.com/wp-content/uploads/2018/11/dental-bonding-Trident-General-Dentistry.jpg 667 999 Rachel Gerstner https://www.tridentgeneraldentistry.com/wp-content/uploads/2016/09/WebLogo-v7.png Rachel Gerstner2018-11-28 06:54:402018-11-17 07:21:40Dental Bonding, When Is It Recommended? When you are in need of a dental filling, you may think that it will be amalgam or silver. However, most dentists urge their patients to opt for tooth-colored fillings prepared from synthetic fillings. Below are three advantages of tooth-colored composites rather than amalgam or silver fillings. Tooth-colored composite fillings integrate with your teeth far much better than amalgam or silver. The resin composite employed in making tooth-colored fillings can rejuvenate the strength of the affected tooth by up to 91 percent, which as a result makes them stronger. Resin composite fillings also need less of the natural tooth to be removed than metal fillings. The more natural teeth you can retain, the better your long-term dental wellness. Tooth-colored composite fillings are far less noticeable than metal fillings. Silver and amalgam fillings are easier to pick out due to the color difference between them and the rest of your white teeth. If keeping your teeth white is your goal, then you need to choose tooth-colored fillings. Resin composite fillings are much easier for your doctor to work with. When injected, the mixture is a resin. Thus, it is far much easier to fit the resin into every crevice. It is also far much easier to replace resin composite fillings than amalgam fillings, which may harm your teeth when being removed. When it comes to your dental care always advise with your dental professional. If you have questions about your treatment options, ask. At Trident General Dentistry serving the Charleston communities we treat every patient like family. It is our goal to educate our patients on their treatment options and together make the best decision based on their needs. If you are looking for a dental team that provides exceptional care schedule your visit with Trident General Dentistry today. Understanding your dental treatment when it is presented to you is vital in your decision process. You may have heard about dental implants, but do you understand the great benefits from choosing them? Due to research and technological advances with dental implants, virtually all dental implants today are produced with specialized threads similar to those used on a screw. The threads and techniques used in site preparation makes it possible for the implant to be firmly inserted into the jawbone so that teeth can be securely fastened to them the very same day. In dentistry, this is referred to as immediate implant loading — a major improvement to the way implants used to be handled. •	With proper care, dental implants can literally last a lifetime. •	Stimulates natural bone growth, preserves natural bone, and helps to prevent bone loss. •	Strong, stable, and they look and feel exactly like a natural tooth. Are you considering dental implants as a dental treatment option? If you have further questions, are looking for a second opinion or are ready to schedule your treatment contact Trident General Dentistry today. Trident General Dentistry has 5 convenient locations to serve the Charleston area. We look forward to providing excellent dental care to you and your family.